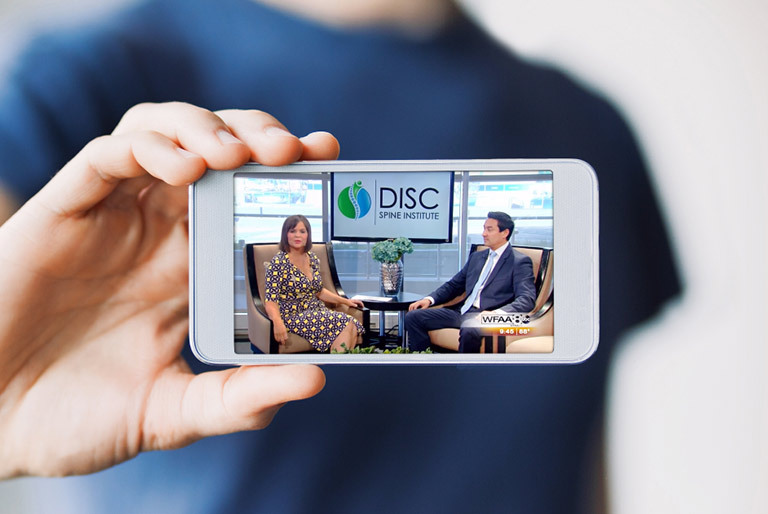 DISC Spine Institute is a growing Minimally Invasive Back Surgery Center in Dallas Texas. 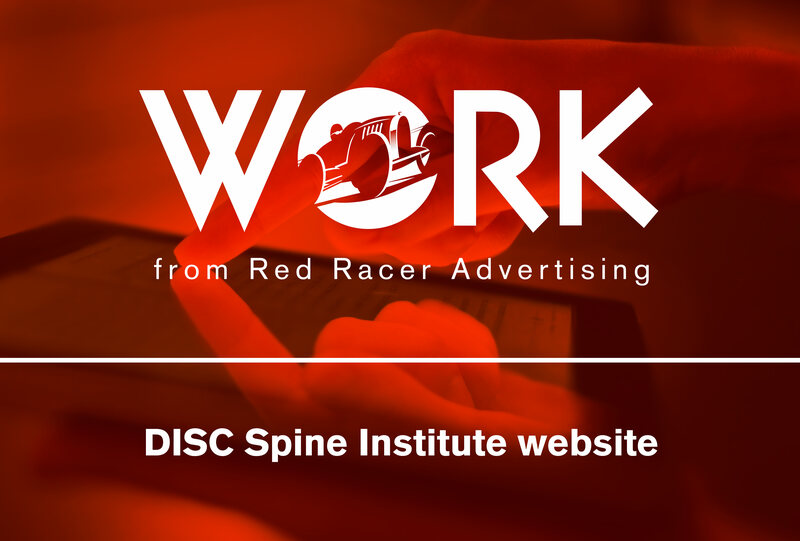 Red Racer Advertising recently relaunched the DISC website to help back pain sufferers get the resources needed relieve their pain and recover faster. 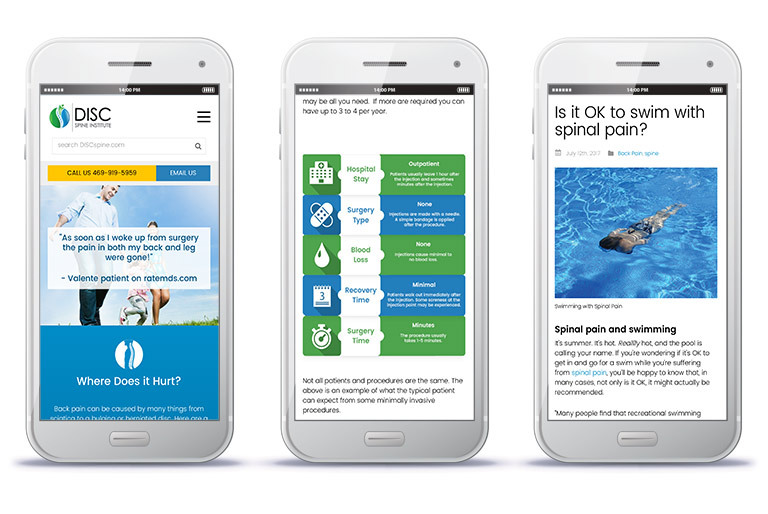 Updates include overall design refresh, new social content, procedure charts, expanded doctor profiles, video testimonials, and mobile capabilities. 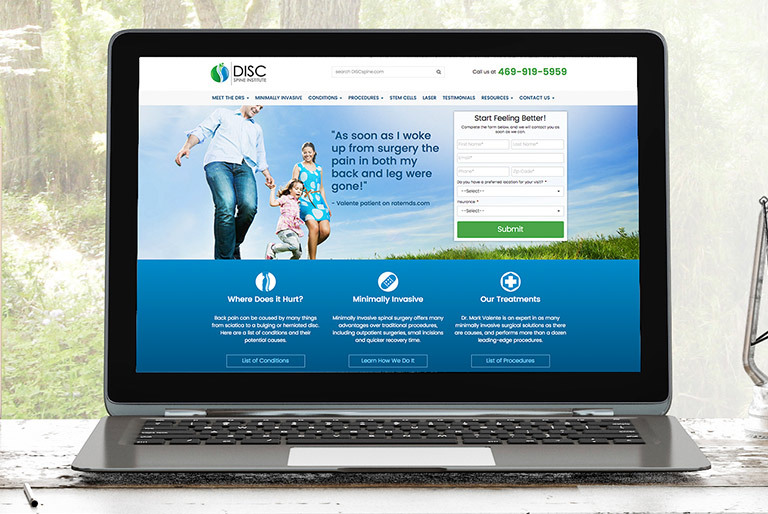 The results are a better user experience on mobile and desktop plus keeping pace with the ever-changing SEO landscape. As a certified Google Partner Red Racer Advertising is always looking to update our customers’ digital assets to stay ahead of the competition.